Are you ready for Wabash football? 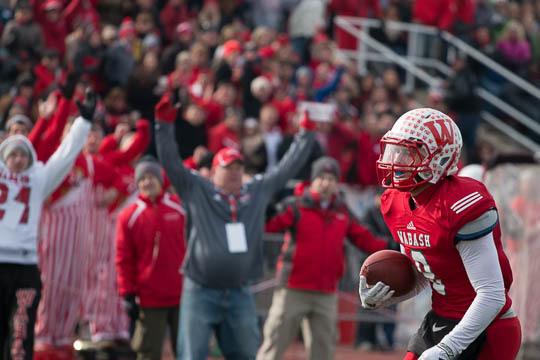 The D3Football Preseason Rankings are in and Wabash shows up at #10. For those of you who are curious about some prominent opponents, Witt is in at #17 while Hampden-Sydney and DePauw are unranked. Junior outside linebacker (#28)Ethan Buresh has been selected as a Preseason All American as well. The entire season starts with our trip to Hamden-Sydney for the second installment of the Gentleman’s Classic on September 5, 2015. For more details on fan events associated with that game, click here.